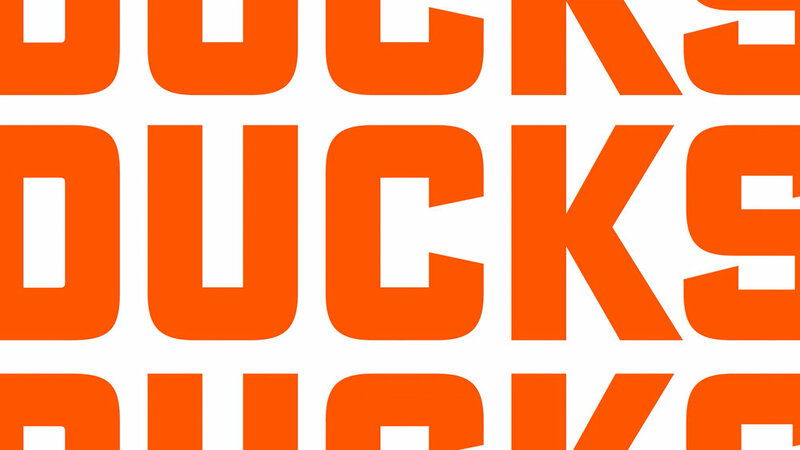 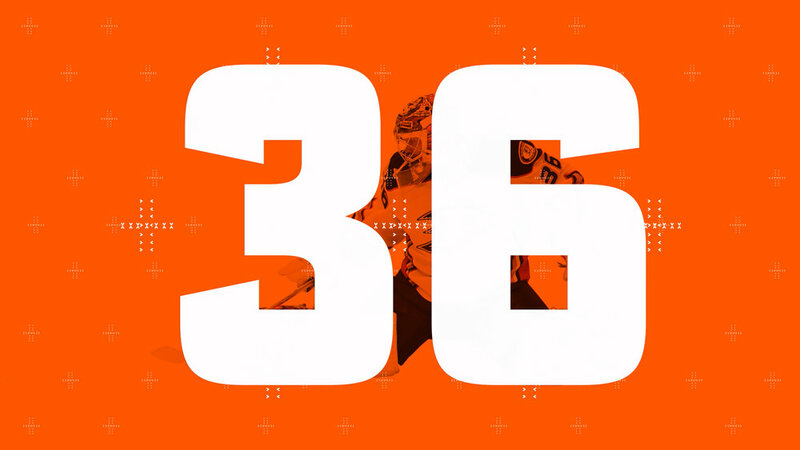 with the tagline “Let’s Go Ducks!” The goal was to create an energetic, bold, and player-centric system that communicates the intensity of the game and the Anaheim Ducks brand. 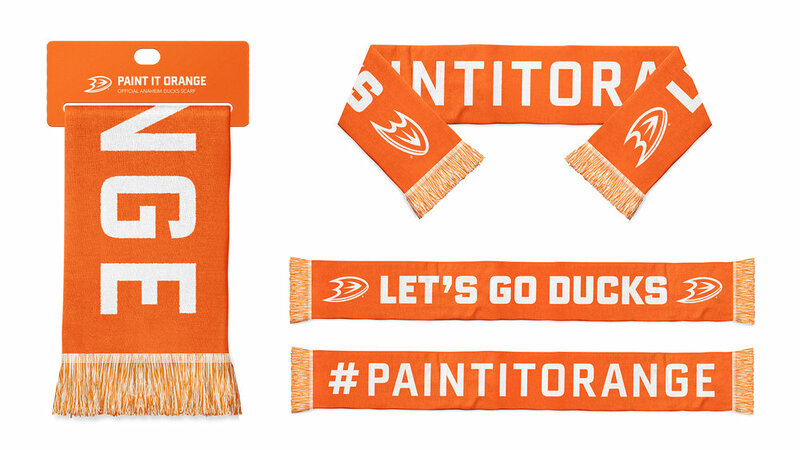 The challenge was to create a fresh look for the Anaheim Ducks to capture a broader demographic in the Orange County area. 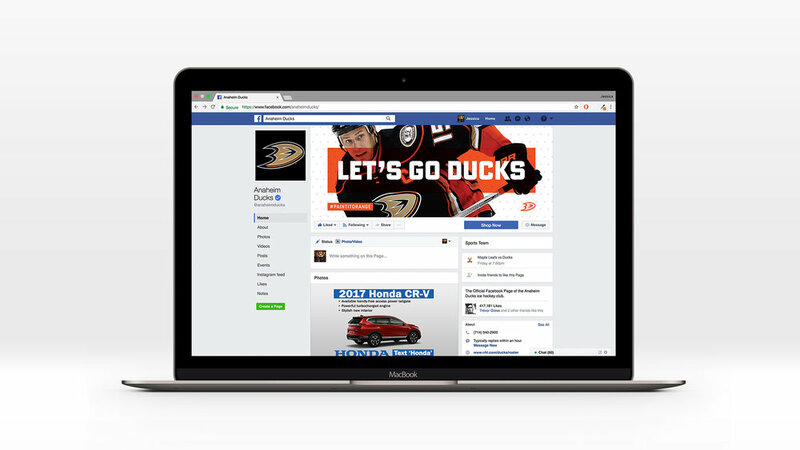 The campaign extends through various formats: merchandise, motion graphics, advertising, and social media. 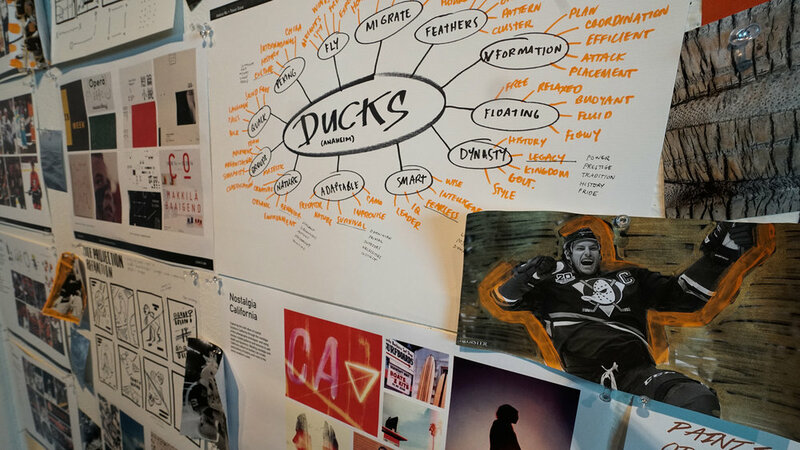 Immersive research was conducted on the history, demographics, and current positioning of the Anaheim Ducks in order to come up with ideas to address the challenge. 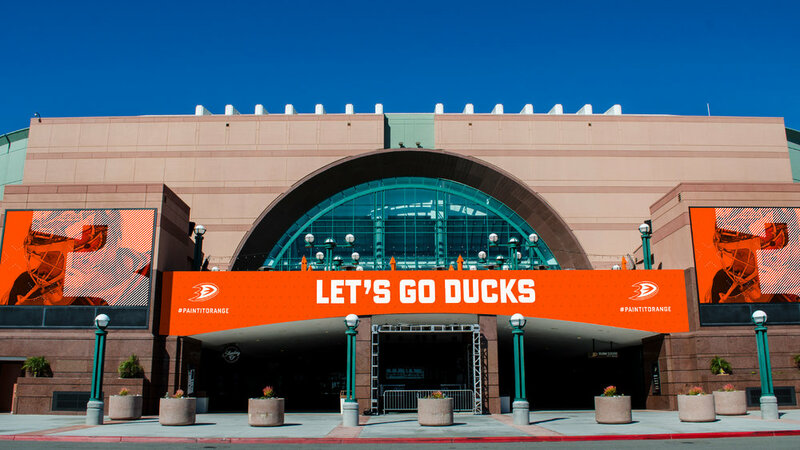 The Anaheim Ducks worked closely with us in discussions about their brand and growth, gave us an intimate tour of the Honda Center, allowed us to witness a live hockey game which were all influential in our creative decisions.